GHOST RECON MODS COLLECTION 64Gb 1000+ mods. NOW AVAILABLE EXCLUSIVELY ON 64GB USB 3.0 FLASH DRIVE! 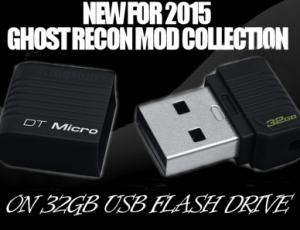 ALL GHOST RECON + GHOST RECON ADVANCED WARFIGHTER + GHOST RECON ADVANCED WARFIGHTER 2 GAME MODS IN ONE HUGE 1000+ MOD COLLECTION ON ONE MASSIVE 64 GB USB FLASH DRIVE. This MASSIVE collection totalling over 1000 Ghost Recon Mods is the largest collection of Ghost Recon mods available anywhere. It contains work created by fans of Ghost Recon for fans of Ghost Recon from 2001-2018. This collection features the complete collection of Ghost Recon mods and contains Ghost Recon, GRAW and GRAW2 mods.
" the mod collection is brilliant some stuff I've never seen before"
"I got my pack today and I have to say, it is amazing!" Daniel, Aus. 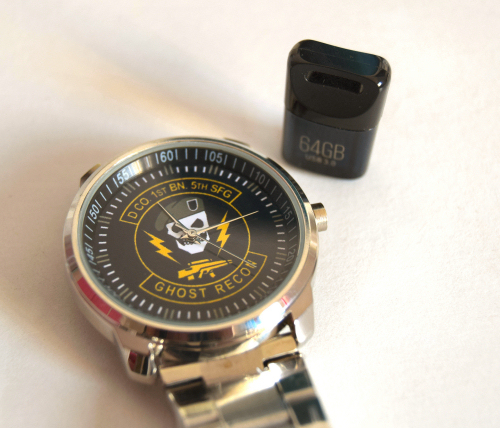 All orders are confirmed by e-mail from GhostRecon.net. Note that most of the Ghost Recon mods require expansion packs Desert Siege and Island Thunder to be installed and DO work with Steam Ghost Recon.